The result is an “achievement gap … between [high-poverty] high schools and [low-poverty] high schools” in which all students perform worse, notes Dr. Elaine Bonner-Tompkins, who produced the report. Those 11 “high-poverty” schools include the Northeast Consortium, with Blake, Paint Branch, and Springbrook; the Downcounty Consortium, with Blair, Einstein, Kennedy, Northwood, and Wheaton; and three schools in the upcounty, Gaithersburg, Seneca Valley and Watkins Mill. Students at these schools are less likely to graduate on time, to maintain grades high enough to participate in extracurricular activities, and to earn high scores on AP exams or the SAT. Meanwhile, they’re nearly twice as likely to drop out of high school or get suspended. Whether real or perceived, the performance of high-poverty schools in East County may be leading to white flight. Dr. Bonner-Tompkins notes that the share of white and Asian families at high-poverty schools is falling faster than the rest of the school system, suggesting that they’re fleeing for low-poverty schools with better reputations. School officials were quick to dismiss many of the report’s findings. In a four-page response, superintendent Joshua Starr called suggestions of white flight in MCPS “unsupported” and said that the school system wasn’t to blame for larger demographic changes in the larger community. Starr also dismisses the notion that minorities or low-income students are isolated in certain schools. He says the report’s own demographic findings, which come from MCPS data, “clearly demonstrates very diverse student populations at the consortia high schools.” Does Starr really think a school like Wheaton, where there are few white students and almost 4 out of 5 students on reduced lunch, is a more diverse school than Whitman in Bethesda, where there are virtually no black or poor students? It’s true that the school system isn’t directly responsible for socioeconomic and racial segregation in Montgomery County. The western side of the county has historically been more affluent, and over time has drawn most of the county’s jobs, shopping, and other amenities. But MCPS does contribute to segregation so long as some of its schools are perceived as better than others. School officials are quick to announce positive statistics about its schools; just this week, it issued a press release that 8 of its high schools led the US in the Washington Post Challenge Index, a nationwide measure of academic rigor. All but one of those schools are on the western side of the county and have a relatively small amount of black, Latino, or low-income students. Rankings like that send a message to families looking for the best schools, and those who have the means to choose vote with their wallets. It shows in home prices, which are three times higher in the Whitman High catchment in Bethesda than they are at Seneca Valley in Germantown, one of the county’s worst-performing schools. It also shows in the attendance at each school. 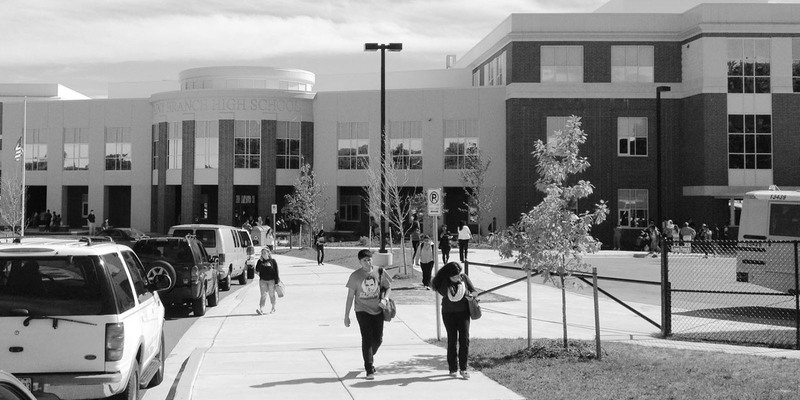 In their push for school construction funding, county leaders have noted that MCPS is adding 2,000 students each year, and that schools are becoming overcrowded. But for every high-ranked school like Bethesda-Chevy Chase High School, which is nearly 300 students over capacity, there are lower-ranked schools like Springbrook in Silver Spring, which was built for 2100 but has just 1700 students, and Watkins Mill, with nearly 500 empty seats. MCPS officials say this report isn’t news. It’s true: there have been warnings about segregation, and the potential consequences for Montgomery County schools, for over 20 years. But the school system has done little about it, and Dr. Starr insists that integration won’t close the achievement gap. As he points out in his letter, Dr. Starr does have some promising initiatives for closing the achievement gap, like smaller class sizes, or extra pay to recruit and retain strong teachers in high-needs schools, though he’s not afraid to use them as a bargaining chip for more funding. That’s why it’s frustrating that he seems so unwilling to talk about or even acknowledge the school system’s issues. The role of Montgomery County Public Schools isn’t just to teach, or to prepare students for happy, successful lives. It’s also one of the county’s major assets, a tool used to attract families of all backgrounds who want to move here for their kids and for businesses who want to come here so they can hire our graduates. If there’s an impression that not all Montgomery County schools are up to speed, or that some schools are for certain populations, that’s bad for our kids, bad for our neighborhoods, and bad for our economy. Crossposted on Just Up The Pike.